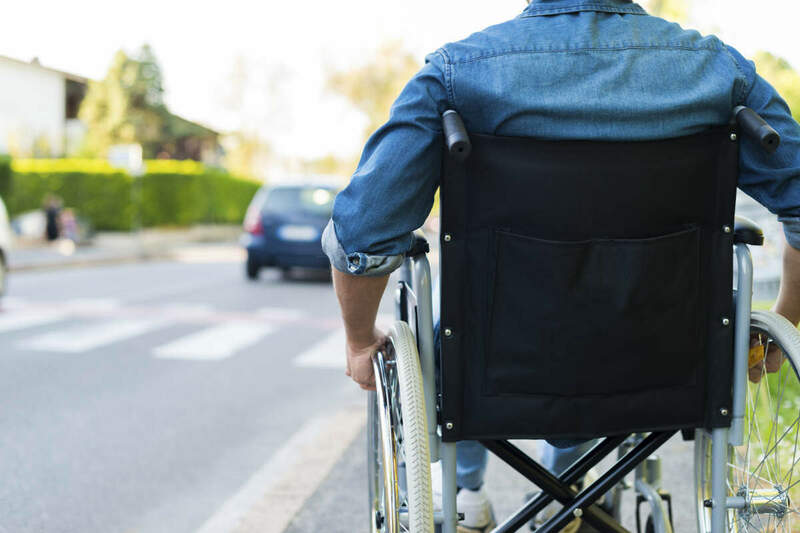 A new study shows that wheelchair-bound pedestrians who get involved in a car accident are more likely to suffer catastrophic injuries or even death. Pedestrian accidents are always serious; most of them result in serious injuries to the pedestrian while the driver of the car often escapes unscathed. Many pedestrians are killed in car accidents. A new study shows that wheelchair-bound pedestrians who get involved in a car accident are more likely to suffer catastrophic injuries or even death. Researchers from the University of Washington accumulated data over a period of six years to evaluate pedestrian-related accidents. They discovered that during the period of study, there were around 81,000 accidents in the U.S. that involved a pedestrian and a vehicle. Of these, 5,000 crashes resulted in the death of the pedestrian. 40 percent of the deaths occurred in pedestrians using a wheel chair. The fatality rate was three times higher among men compared to women. The study also revealed that 50 percent of the accidents that involved a disabled person occurred at an intersection with crosswalks. 18 percent of the accidents occurred at locations where crosswalks were not available. Another startling revelation was that in almost 78 percent of the accidents, the driver did not act to avoid the accident. Failure of the driver to see the wheel chair-bound pedestrian as he or she is crossing the road. People in wheelchairs are in a sitting position and are harder to spot in the crosswalk. Failure of the driver to predict the actions of the disabled pedestrian. Many drivers report that they were not aware what the disabled person was going to do at the intersection and that led to an accident. NHTSA data shows that there is no significant difference between electric and manual chairs. The fact that 18 percent of pedestrian-vehicle accidents occur outside of crosswalk areas suggests that crossing the road in areas outside of a traffic signal can prove extremely dangerous for disabled pedestrians. Any vehicle accident involving a pedestrian is serious, because the pedestrian does not have the same protection as the driver of the motor vehicle. The size and force of a motor vehicle can cause significant injuries. When it comes to a disabled person who is in a sitting position, the impact of the crash is different. If a disabled pedestrian is thrown to a distance, he or she will not only sustain injuries from the impact, but possibly from the wheel chair itself as well. If you have been injured in a pedestrian-vehicle accident, speak to a St. Louis pedestrian accident lawyer to help determine liability of the negligent party. Call The Hoffmann Law Firm, L.L.C. at (314) 361-4242 for a free consultation.